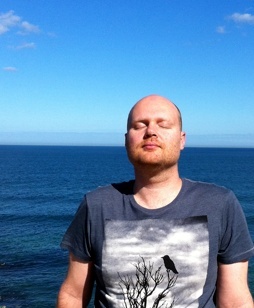 Learning how to meditate was probably the single most important and life-changing thing I've ever done. I started meditating in 1995 after my mother invited me to do an 8 week meditation course with her. I wasn't coping all that well with life at the time. I'd recently broken up with my girlfriend, I was failing some of my subjects at university, my health was average at best and I was very depressed. I was reluctant to go to meditation classes at first, mainly because I was too depressed and too stressed to find the energy for them. I didn't really expect to get much out of meditation and I loathed the idea of having to find 20 minutes to meditate - twice a day no less! Meditation was filling a gap in my life that nothing else had been able to satisfy. I began to relish my meditation sessions, and my experience of meditation rapidly deepened. I became calmer and more focussed, and somehow my whole life seemed to make more sense. to the spiritual nature of my being, a side of myself that had been clouded from view until that time. I was so excited about this new discovery that I threw myself into study - metaphysics, spirituality, psychology, theology - I totally absorbed myself in learning everything I could about the nature of my mind, my soul, and my relationship to the universe as a whole. To cut a very long story short - the practise of meditation completely revolutionized the way I view life, and the way I live my life. It expanded my perspective and it gave me relief from depression. It gave me a great deal of clarity and mental power, which helped me over the years in my professional development and career progression. Meditation also helped me to open my heart and then connect with a wonderful life-partner. Nothing gives me the same feeling of wholeness and deep calm that meditation does. It has awakened me to the vast reservoirs of peace within me, and it encourages me to help other people find that same peace. It's given my entire life a sense of purpose. I just couldn't imagine life without meditation. Christopher Lloyd Clarke is the founder of The Guided Meditation Site, and he encourages you to share your own meditation story. Please click here to join in. Really it is a life changing thing to take a decision to start meditation. I have read the experiences that had by Christopher when he started to meditate. After reading his experiences I got inspired to start meditation. Thanks for sharing your experiences! re-awakening to the way of meditation ( i say re-awakening since man dwelt in that state of high spirit awareness with all angelic/cosmic Beings aeons ago before falling into physicality)was ordained and earned before you took incarnation in this life. Meditation is indeed a way of life and our adhering to it brings so much inner joy, blessings, tranquility and fulfillment and of course a centering, an anchoring in and to that which is eternal and unmoved by the shifting,ephemeral sands of time/space. thing is to pick ourselves up, learn from the experience, and proceed again with our inner and outer journey. I have found to that it is vital to become involved in being of service to our fellow man as it gives a sense of perspective, balance, and prevents the possible onset of feelings of superiority which is a huge danger to the aspiring meditation master. Please look out for my poem, 'The Way of Meditation' May you be blessed in your spiritual endeavors. Love the photo! Where was this taken? I loved your story Christopher. I could have happily read more of it.